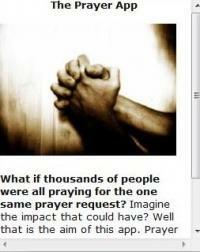 What if thousands of people were all praying for the one same prayer request? Imagine the impact that could have? Post your prayer request, prayers and testimonies.